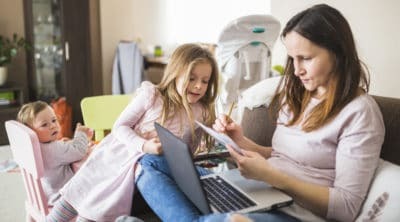 March 14, 2019 In Make Money, Side Hustles, Work From HomeBy Lily H.
A notary is known as a legal practitioner who will prepare, attest to, and certify documents, the affidavits of witnesses and also administer oaths. They are an official of the U.S. government. Notaries can handle weddings, mortgage signings, and many other legal situations. If you’ve been thinking about becoming a notary but don’t know where to begin, we’ve got you covered. This makes it a wonderful source of extra income and a great skill to include in your résumé. I always advise even employed people to have an extra source of income besides their white or blue collar jobs, especially if you’re an employee with a dependent family. 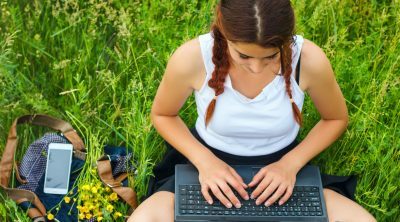 This Woman Makes $25/Hr Teaching English Online From Anywhere! Not only will being a Notary provide an extra source of income but as earlier stated it will boost your résumé. Only about 4.5 million people in the United States are notaries. Although the process of becoming a notary varies from one state to another, and from country to country, there are still similarities that can be drawn from all the different processes. Before you decide whether you really want to become a notary, you should educate yourself on the process, and if you’re still willing, you should definitely go ahead with your plans. The first being an extra skill on your résumé. The second being a source of extra income. The third reason is to open a “Mobile Notary” or “Notary Signing Agent Business.” This means you’ll become a notary full time and take it as your job. Income range for a notary is quite lucrative with the average notary earning between $30,000 to $60,000 dollars depending on the state and type of notary. Here are some of the general steps you will encounter during the process. The process differs from state to state in the United States so it may not be completely identical to your own state’s process. Regardless, this will be a great guide of the notary job itself that could still be of great help. Your state will set the maximum fee for a notary to charge (per signature) and you must not exceed that amount. Standard notary charges are usually between $2 and $15 dollars. Some states also have stipulated amounts for each mile traveled. At $2 per signature, it’s not lucrative enough really but most states average $5 to $10 and some cover travel. The state of California notary charges $15 per signature. If you’re a mobile notary, you can charge, according to state, for each mile traveled in addition to your notary fee. California is the highest paying state for a notary, the average salary for a notary public in California is $45,000 to $50,000. It’s an incredible salary and great living wage for little training or education. 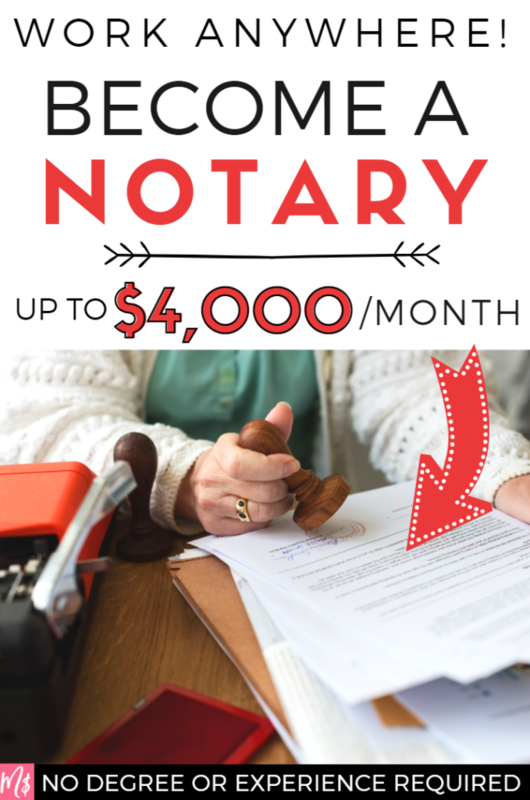 Becoming a notary can cost as little as one hundred dollars to a couple of hundred dollars. This solely depends on the state and how many procedures the state demands you pass through. This cost will cover your application, filing fee, examination, training, supplies, the cost of your background check and also in some cases your notary bond which can be likened to insurance that covers any damages your customer may suffer at your hand. Although most bonds range between five to ten thousand dollars it is usually not included in the original cost. In most states notaries are regulated and commissioned through the “Secretary to the State’s office.” The state regulates most if not all notaries. Once you are commissioned, you will receive your commission certificate from the state. You will be required to read and write in English. You must have no criminal record with the state. You can only become a notary in the state you legally reside in. In special cases, you may still become a notary if you state your past convicted crime willingly before the background check is done. Some states will allow people from border states to officiate in their states, but it’s not often. Training to be a notary does not take as long as one would presume. Not all states require training while some require a continuous education for electronic notaries. However, whatever training you do decide to undergo for your notary training must be approved by your state. Once your state approves it, it means that your courses are properly equipped to teach you the fundamentals. If your state doesn’t require notary training, there are a number of places that you can go to acquire the basics. The first place is usually your local community college and the second would be organizations or vendors who specialize in this sort of training. Your notary course can be taken in person in a class or a live seminar or even taken online! Online courses take less than $100 and the live seminars are around the same up to $200 dollars. The required courses normally last from anytime between three hours being the least and six hours being the most. If, however, you choose to pursue other courses that are not required in order to feel more secure in your role as a notary, then such courses may last longer. Not all states require a written, oral examination or even any examination of the sort. Those that do require exams usually have exams that last for about one hour. While going for the exam be sure to carry along your notary state application for further inspection. The reason notary processes differ in states is because the state is completely in charge of the process which means the state reserves to right to include laws and restrictions that will protect the public and ensure the legitimacy of notaries. Super important! The sort of bond you need to acquire is a surety bond. A surety bond is a bond put in place to protect your customers and the public from any form of misconduct or mistakes on your part. You are required by law to have a bond in most states because of previous damages done to the public. It sometimes cost 1% rate (depending on your credit score) so you pay $100 for a $10,000 surety bond. It is recommended that you get a bond that will last as long as your notary term. You should also get E&O insurance which is an Error and Omission insurance. This insurance will protect you from any mistakes you make while acting as a notary. This applies in cases where you were acting in the best interest of your client or if you were tricked by identity thieves who may try to get a notary to sign and notarize false documents. Your notary bond protects the public while your E&O protects you. Being a notary is an amazing side hustle. There is always demand because people will always need third-party validation for important signings. You can easily turn it into full-time work. Plus, it can’t hurt and only can help your resume. However, a notary republic has no stable schedule, it’s hard to work from home, and travel costs can come out of your own pockets. There are a lot of ways a notary can find work. The notaries I know work through banks and other financial companies like small time brokerages. 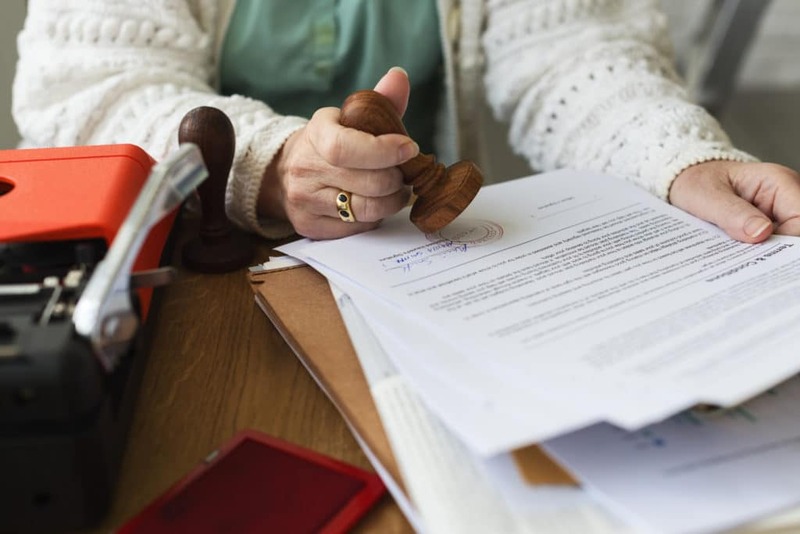 Banks and financial companies often need notary services but you can also find your own clients using ads, flyers, or local connections. 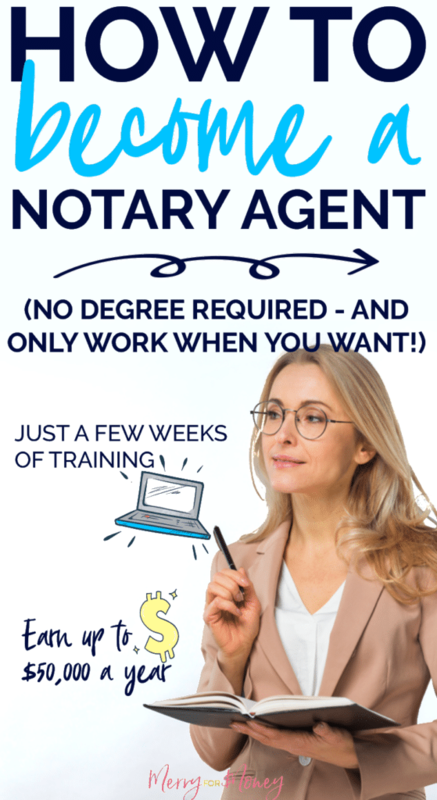 Try joining a notary site that will alert you available notary jobs nearby. You can choose to accept or deny the work alerted. Due to the rules enforced by the state, it can be quite stressful having a steady source of income. One way to secure this is by building a relationship with a mortgage company or a bank. These two types of companies need notaries very often so you should try to make sure they are in your clientele. The duration of becoming a notrary depends solely on your state. In some states, it takes 4 weeks while in others it takes about 7 to 9 weeks. It’ll also take longer if you’re trying to renew your application. The final question is concerning the duration of a notary term – sort of like a license. The multi-year notary term begins on the date that the notary commission is issued by the state Governor. A notary term usually lasts for 4 years, but in some states, it can last for 5 to as long as 10 years. It all depends on your state. Some states allow you to notarize in neighboring states while others restrict notaries to the state where they were commissioned and in rare cases, they can be restricted to certain areas of the state. A notary does not have a stable place to work, not even 100% working at home is possible because you need to travel and meet clients. Although some tasks like organization and paperwork can be done at home. The next question is who can you notarize for? The answer is anyone requiring paperwork. Anyone with genuine identification who comes you with a legal and lawful request for notarization. There are quite a lot of notary supplies, but the most important items needed are a seal to stamp certificates, the certificates and finally a notary journal. A notary journal is extremely important for you and your clients. It is, in simple words, a backup. If your client misplaces their certificate, they can come back to you and therefore have proof that they conducted a signing. Having a notary journal has saved clients and notaries too many times to count. Although it is not required by law that you have one, it is extremely helpful and safe to have one. Other items that can be added to your supplies are customized or situation specific certificates. Although stock certificates are just as effective, having more specialized certificates which you can procure from suppliers will make you look professional and well equipped. You can also purchase a seal embosser, notary supply pocket, and state notary handbooks (optional). We hope that this article has been very helpful in making your decision! I say this is one of the simpler side hustles out there and it’s a great way to make extra money. If you decide to become a notary, do let us know. If you have any questions leave them below.